New African devotes itself to covering exclusively the affairs of the continent and the African Diaspora with the interest of the whole region in mind, not one country or group of countries. 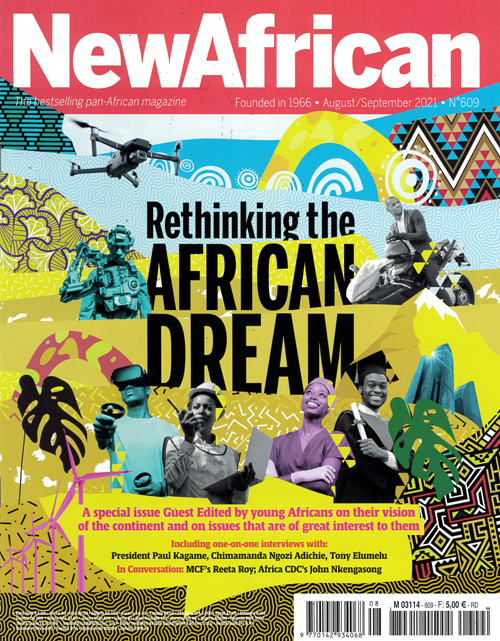 New African is identified directly with Africa and gives the reader, once a month, the best coverage of the events which affect the continent. Its purpose is to serve the interests of Africa and it is dedicated to the progress and unity of Africa Published in English - Monthly. Allow 6-10 weeks for initial delivery.